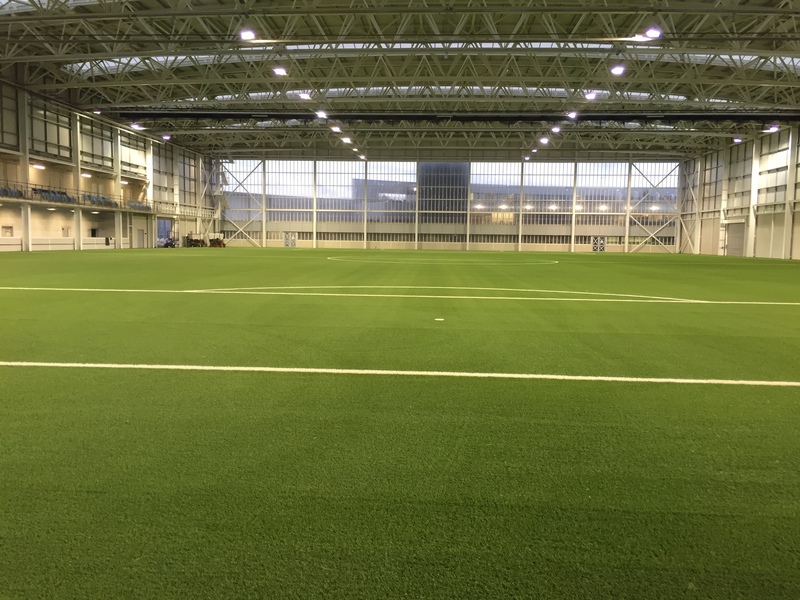 As a global centre of excellence, Manchester City Football Academy is an inspirational facility comprising a 7,000m² capacity mini-stadium for young players and a transformative investment in East Manchester consistent with Manchester City Council’s vision for the area. 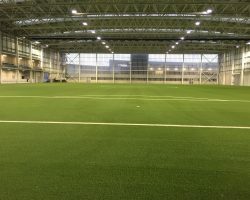 Manchester City Football Academy also supports the expansion of an award-winning City in the Community programme and to contribute towards the development of new facilities that the whole community can enjoy. 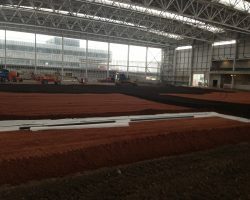 The CFA Indoor Stadium will host youth football matches to give young players vital experience playing in a competitive environment in front of a big crowd. This stadium will become home to MCWFC in 2015. It will also serve as a facility to house important community matches and live events that would benefit from a stadium environment. 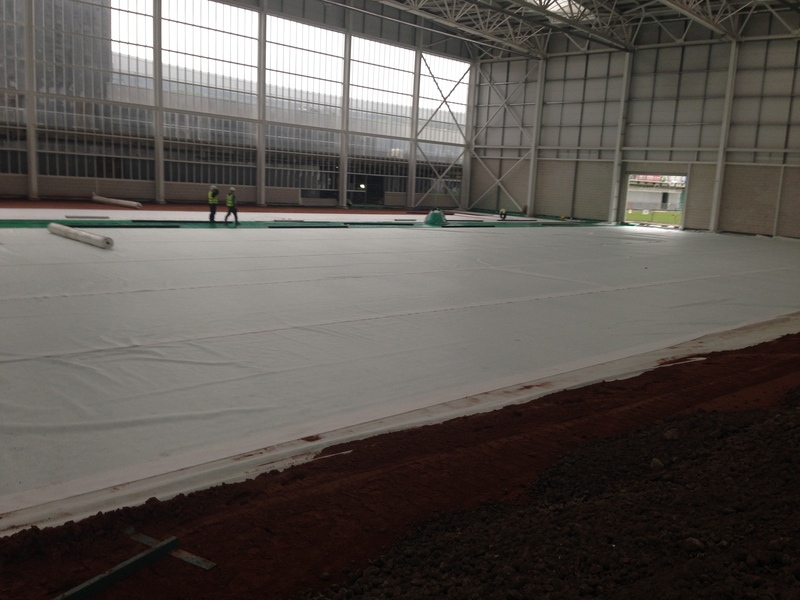 We were tasked with laying, sealing and protecting a Reinforced Gas Membrane from Fosroc Ltd. This was designed to stop the ingress of harmful ground gasses into the building & to ensure the safety of all who trained in the facility. Working in a very busy environment, populated simultaneously by many different trades. 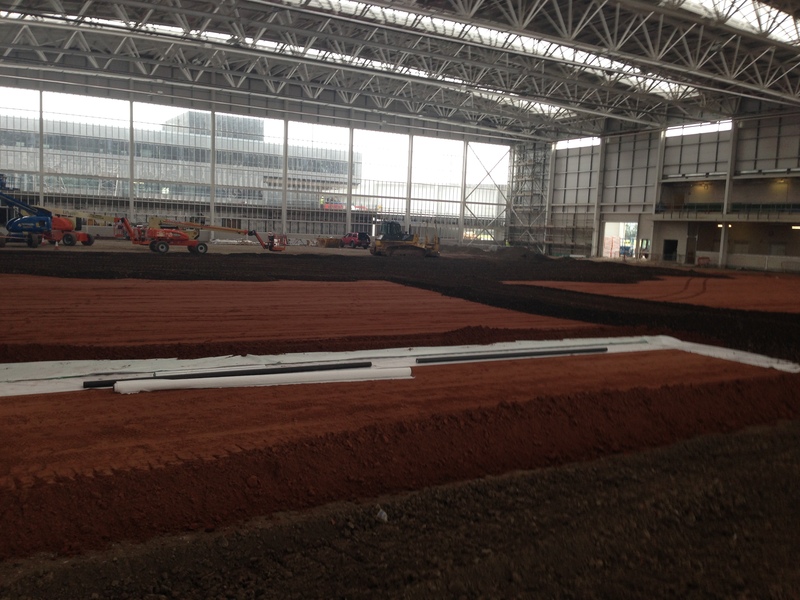 In conjunction with our construction & supply chain partners we ensured all deadlines were met and all materials installed to the very highest of standards. We installed a comprehensive gas proofing solution, using both Proofex Engage and Proofex 3000MR. Nitocote EP405 was used to seal the pile caps and ring beams, allowing Fosroc’s 5 layer reinforced gas membrane (Proofex Total) to protect the remainder of the structure. I have no hesitation in recommending your company following the work you carried out. 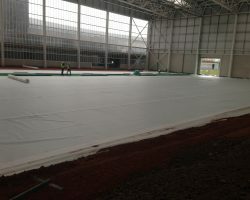 The installation of the Fosroc Gas Membrane underneath the indoor pitch at CFA was carried out in a very professional manner under challenging conditions.